Growing our own food using organic gardening methods means we need to be resourceful to get the best yield and the best tasting produce, so we employ as many different techniques as possible. 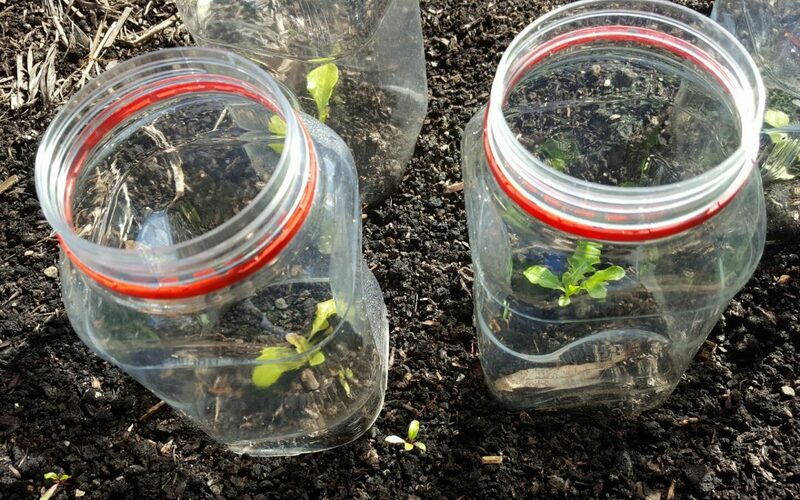 Here is just one example of how we protect our young seedlings plus reduce waste by giving something that would be used just once, a useful second life! The rule of Reduce, Re-use and Recycle is always on our mind here at Arborlon. 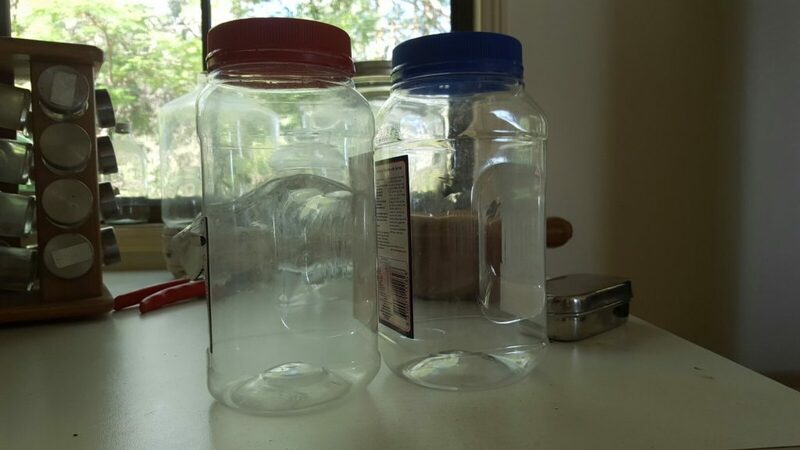 So when we had accumulated enough un-bleached flour containers, we decided to make them into something useful instead of tossing them in the recycling bin. In their second life they have become cloches in our veggie garden to help protect our young seedlings from being eaten by insects and other hungry critters. Not sure what a garden cloche is? Cloche – pronounced kl-osh – is the word for “bell” in French. Originally, 19th century French market gardeners used large glass bell shaped “cloches” to cover plants as portable miniature greenhouses in spring and fall. 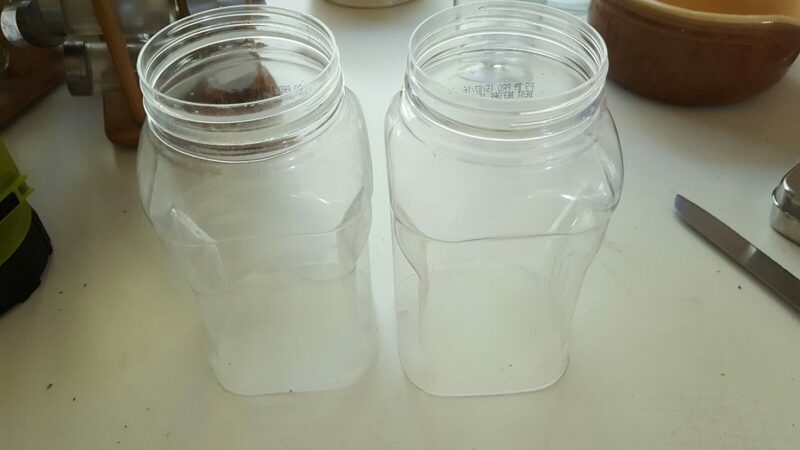 These unbleached flour containers are perfect for making your cloches, but you can use any container that is at least 5cm wide at the bottom with a similarly wide top. 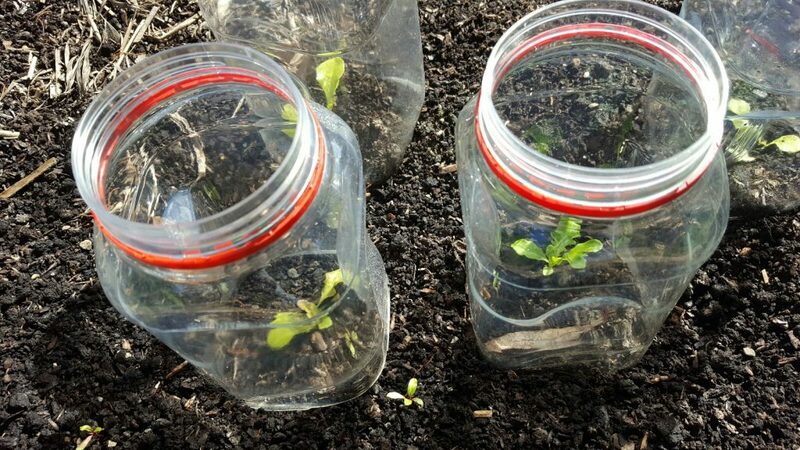 Take off the labels and lid, so you get sunlight from all directions once they are placed in the garden. 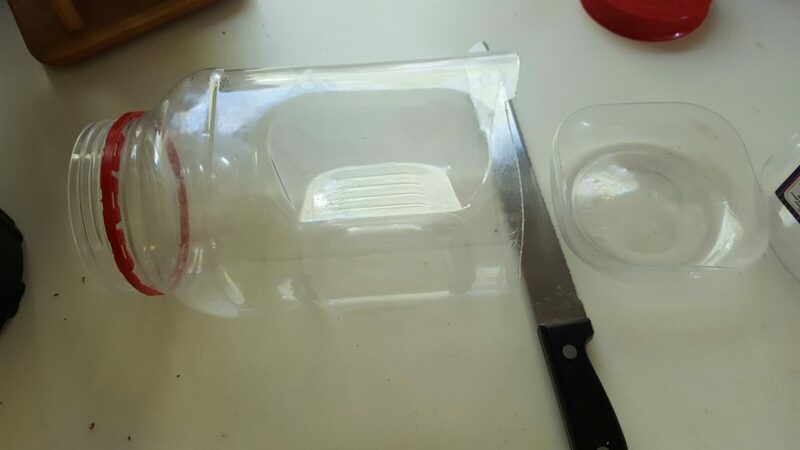 Cut off the bottom of the container off with a serrated bread knife. You can also use the lid if frost is a problem in your area, but don’t keep it on all day, it will get too hot. You will end up with an opening at the top and bottom. Now all you need to do is place them over your young seedlings. We wait until the seedlings start touching the sides of the cloche before we take them away. This will keep your seedlings safe until the tender young leaves are mature enough to go it alone.